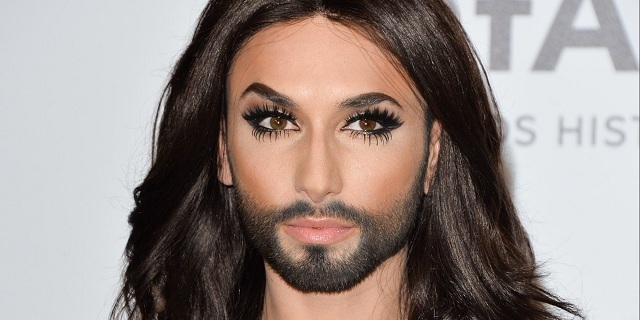 The first name that crosses our mind when we think of the title, Bearded Lady, is Conchita Wurst. 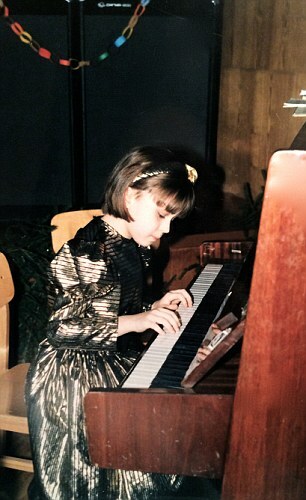 She is the award-winning musician and performer with an angelic voice, who has taken the world by a storm. She has redefined beauty, and the standards of attitude and looks of a mainstream drag queen, by carrying herself in a calm, diva-like manner, and a beard on her face which perfectly complements her sparkly eyes and long lashes perfectly. But, the title of Bearded Lady also belongs to two other people who are fighting a battle of their own. 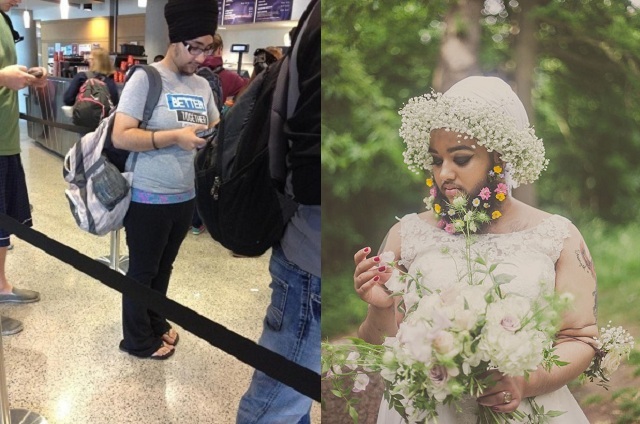 One of them is Harnaam Kaur from the UK, and the other is Balpreet Kaur from the US. 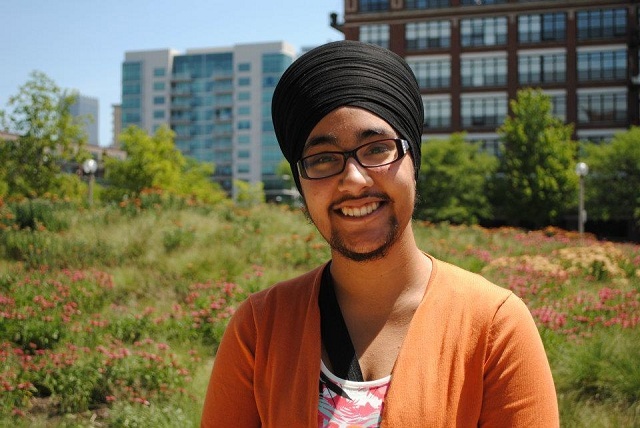 Three years ago, Balpreet Kaur, a sophomore at Ohio State University, found her photo on the internet. A surreptitiously-clicked photograph of the unsuspecting woman with a beard and side-burns, at the airport, had been taken and shared by some stranger. It was on the ‘funny’ section of the popular social networking site, Reddit, where the user, going by the apt handle ‘european_douchebag”, posted the photo, apparently so shocked by the idea that women can have body and facial hair that he had to let the entire world know of it, so that they could all join in on what became a joke for everyone. Needless to say, cruel and abusive comments by people as superficial as the original poster started to pour in. 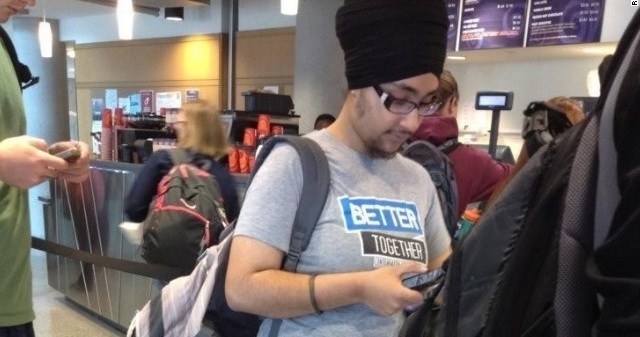 They not only posted negative comments about her facial hair, but also about her attire. Balpreet, a neuroscience major and a member of Interfaith Youth Core group that promotes tolerance towards and learning about different faiths and their practices, showed an unusual grace, calmness and humility when she replied to the photo, and addressed the positive and the ‘less positive’ comments, as she gave the haters a small glimpse of her faith, her thoughts, and her life as a Bearded Lady. She told them that she is well-aware of the fact that she is different from the way most women look, which often causes confusions among people who look at her and wonder about her gender. But there is a reason behind her choice to not trim away her facial hair. Balpreet is a baptized Sikh. In Sikhism, it is believed that the body that has been given by the Divine Being should be treated like a treated like a gift, and be left intact as a submission to the divine will, just like children do not tamper with or reject the gifts their parents give them. She expressed her comfort in being who she is, and went on to tell everyone that she at the end of the day, it is her work, her attitude, her actions and her legacy that will remain, while her body will turn to ashes someday, and her looks, forgotten. That is why, she is not bothered about the physical memory she leaves behind. Instead, she prefers to cultivate her inner virtues and focuses on bringing change and progress, so that she can leave an impact. The poised young woman even went on to say that if anyone wants to take picture of her, all they need to do is come up to her, and she will be happy to oblige. She will be glad to smile, because it is the happiness that lies behind a smile that counts for her. Instead of taking offense, or being dejected by the bullying, she actually apologized to people for causing all the confusion. And in doing so, she showed a rare kind of tolerance, even towards the people who tried to demean and judge her. She showed understanding towards the ignorance of people who have set ideas of beauty. She showed the world that beauty is beyond skin-deep. 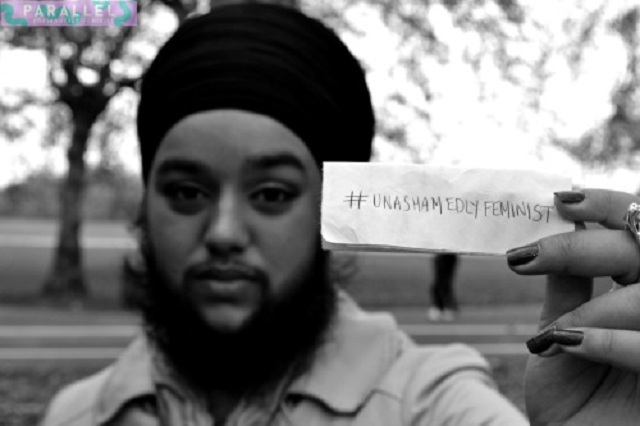 Today, many Sikh women treat the rule as flexible, so that they can meet their beauty standards. But a pious Balpreet adheres to her faith, and is prefers to ignore superficial beauty. As she does so, her inner beauty glows through, and it was strong enough to not only win her virtual applause by netizens, but and to bring out an apology from the “european_douchebag”, who preferred to remain anonymous, but accepted his mistake in judging Balpreet and doing something so insensitive, without thinking of her at all. Balpreet won the hearts of millions with a polite explanation, and considerate attitude towards her haters. 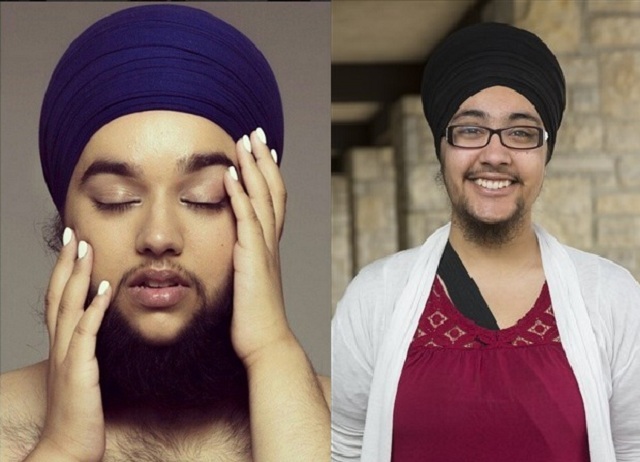 In another part of the world, Harnaam Kaur has become a new internet sensation as the Bearded Lady. She has had a long journey from being suicidal, to being proud. 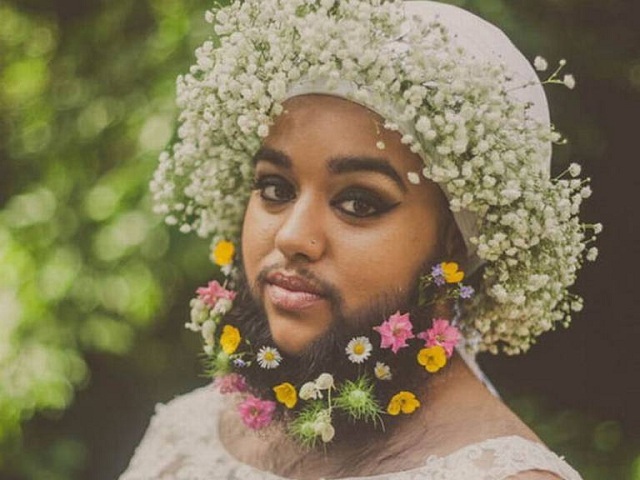 Harnaam, from Slough in the UK is a primary school teaching assistant who is unapologetic about keeping a beard. Her scars, beard, body – these are all elements that others consider as flaws. But she does not. She believes that these are what make her who she is – a complete individual, even though these are the reasons she is often subjected to humiliations, and she becomes the centre of unwanted attention and hurtful bullying. But she found a way to not only be at peace with her body but also feel proud of every bit of her body. Harnaam was only 11 when she got diagnosed with Polycystic Ovary Syndrome which was behind hormonal imbalances in her body that led to the overgrowth of hair on her face, chest and arms. She received taunts in school, and it got so severe that at one point of time, she even started contemplating self-harm and suicide. In order to meet the conventional standards of beauty for women, and achieve the smooth look, she used to have her face waxed about 2-3 times a week. On days when she could not bear the pain of having hair ripped out of her face, she shaved. Yet, the jeers never stopped, and she got more and more self-conscious. It became more and more difficult for Harnaam to go out and face people, in fear of being bullied or criticized in her school and the society. She gave in to depression, and her bedroom was the only place she felt safe. That is where she sat, planning on what would be the best way to kill herself and get rid of the body that brought her so much humiliation. But then, she realized that it would be best to turn her life around. 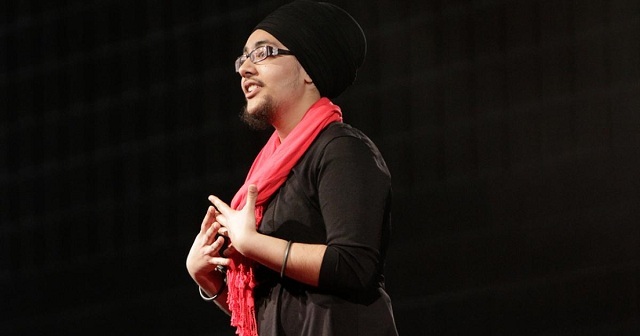 At 16, Harnaam got baptized as a Sikh. It was then that she realized, she had to stop trying to change herself. 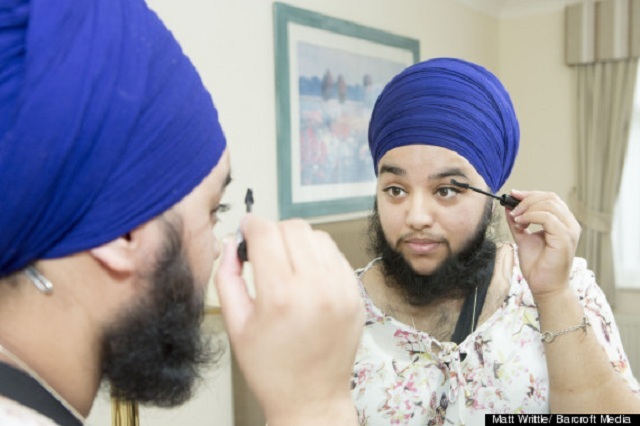 She decided to follow the tenet of Sikhism which shuns hair removal. Sometimes, when we are down in a pithole, we are desperate to climb out, but at a loss of confidence to do to alone. That’s when we need an excuse to latch on to, and be able to get out of the lurch. For Harnaam, it was her baptism and its tenet against body modification. Even though her parents were deeply worried that Harnaam would not be able to live a ‘normal’ life, Harnaam is absolutely comfortable. She says she is not religious, but a spiritual person. The 240year old believes that every person is allowed to live the way he/she deeps fit. That is why, even though she doesn’t trim her hair, she does have several body modifications, such as tattoos. She still receives shocked stares, and the ignorant and hateful labels such as “beardo”, “she-male”, “she-man”, etc. do not bother her. She is absolutely comfortable in her femininity, and has chosen to spread awareness about her condition, as well as invite them to join her in her quest to accept different forms of beauty that go beyond gender expectations. 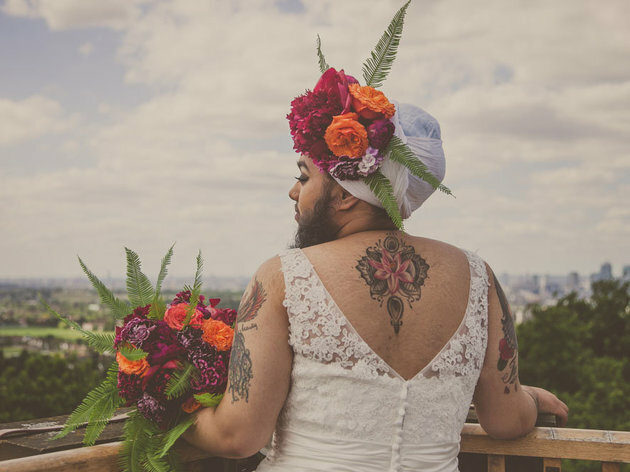 When bridal blogger Kat Williams saw her photographs and got moved by her bold approach. So, she decided to feature her on her site. The result was a surreal collection of photographs that challenge conventionally promoted body image. Today, Harnaam revels in the person she has become. She has friends who support her whole-heartedly. She is showered with love from people all around the world who think she is brave and beautiful the way she is, and pat her for choosing to be herself, instead of undergoing painful procedures to gain the approval of others who only see her body, and not the person inside her. She ribs those who get confused by her, and plays along when they address her as a man. She enjoys every bit of her existence. Both Harnaam and Balpreet chose to defy gender roles and expectations, as they accepted a spiritual path to self-acceptance. They have chosen to live their lives in their own ways, and to prove to the world that beauty has many faces. They have taken the first step to claiming love and respect from others by loving and respecting themselves as exactly how they were born, without needing to bow to the accepted standards of body, and change for others, just to look like so many others do. They have taken a stand against body-shaming, and proven that there’s more than one kind of beauty. Most importantly, they have started projecting the persons they are inside, and thus shown the world that it is possible to see inner beauty – something we rarely do today.